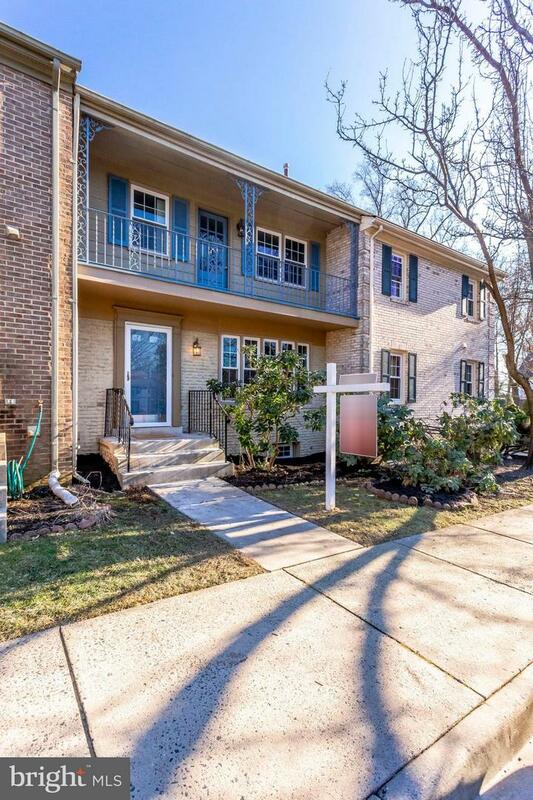 Beautifully remodeled 4 BR brick townhouse in quiet cul-de-sac community. Spacious bedroom sizes with new carpets and master balcony in great location. Huge living room with beautiful NEW hardwood floors throughout the main level and dining room, New recess lights, big sunny Kitchen with New cabinets, New Quartz counters, gorgeous backsplash with New Stainless Steel Frigidaire appliances . Fully finished W/O basement with recreation room, wet bar, bedroom and remodeled bathroom, fenced backyard, newer windows and roof in last 6 yrs, newer hot water heater within last year and so much more. Close to major roads and shopping centers, minutes to metro-bus, DC.